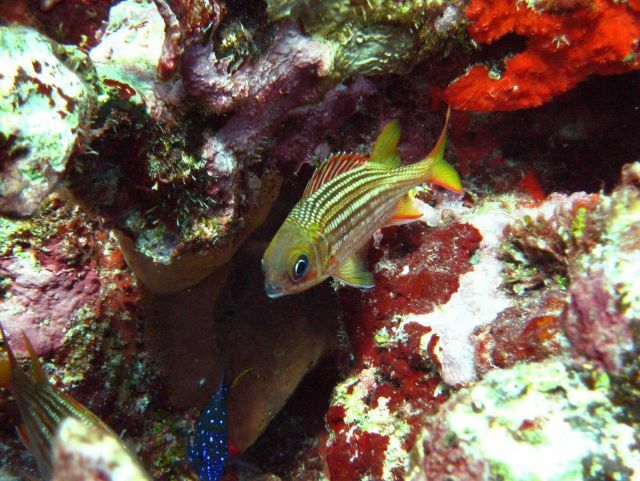 Yellowtail damselfish (Microspathodon chrysurus) - the blue and white juvenile fish; dusky squirrelfish (Sargocentron vexillarium; a brown encrusting sponge ( Porifera sp. ); and crustose coralline algae (Rhodophyta sp. ).